I always get into trouble when I start up a topic like this, but the reason why I keep doing it is because I think its important. The topic is Hebrew Catholicism. Within the Catholic Church there appears to be two extremes of thought. The first extreme is the older one, which holds to the notion that when a Jew converts to Catholic Christianity, he should leave behind all that was of his Jewish heritage and ancestry. He should, in effect, forget that he was ever a Jew and just go on being a good Catholic (i.e. assimilate). Any attempt to commemorate his Jewish heritage is considered “Judaizing” and is immediately condemned as a form of heresy — even apostasy. The second extreme is a newer one, but also a very old one, which holds to the notion that Catholicism must change to accommodate Jewish converts and make itself more “Jewish friendly.” This usually consists of having parish-wide Passover Seders and/or celebrating other Jewish customs on a parish-wide level. I believe both extremes are wrong, but it is the latter one that that I have the most experience with. Evangelical Protestants have taken this latter extreme to new heights by creating what is called “Messianic Judaism,” which is really nothing more than Evangelical Christianity that has been re-branded as a form of “Judaism.” In these Messianic “synagogues,” as they are called, which are really just Evangelical churches, all members are encouraged to wear traditional Jewish worship attire, including tillit (prayer shawls), veils for women and kippa (yalmukah or skullcaps) for men. Jesus’ name is replaced with Yeshua. The Holy Spirit is referred to by the Hebrew term Ruach Hakodesh. Worship is held on Saturdays instead of Sundays, and a good number of members practice kosher dietary laws. Some of these “synagogues” have even adopted Orthodox Jewish liturgical practices. Back when I was an Evangelical, I flirted with Messianic Judaism quite a bit, because I found the liturgical aspects fascinating. In fact, you could say that Jewish liturgy, given a Christian illumination, actually played a significant role in my decision to become Anglican, and then eventually become Catholic. In spite of that, however, I was always amused by how many Evangelicals would suddenly “discover” their “long, lost Jewish ancestry” after joining one of these “synagogues.” The pattern was predictable. They would go in as Evangelical Christians, professing to be Gentiles by heritage, then over time start calling themselves “Messianics.” After a while longer… lo and behold!… they “discovered” some long lost ancestor from 200+ years ago, they never knew about before, who “just happened to be Jewish.” So naturally, that must mean they’re Jewish too. From that point on they begin calling themselves “Messianic Jews.” Later I came to understand why this was happening. Messianic Judaism (Evangelical Christianity given a Jewish veneer) is probably the epitome of Judaizing. You see, the definition of Judaizing is: “to conform to the spirit, character, principles, or practices of Judaism.” In other words, when Christians (who are not Jewish) are encouraged, or even pressured, to start acting like Jews by practicing customs and rituals associated with Judaism, that is the definition of Judaizing. Saint Paul, the apostle, and the first Church Council in Jerusalem (recorded in the Book of Acts), utterly condemned Judaizing. The Church can never do it. What the Evangelicals have done with “Messianic Judaism” is the extreme form of what some Catholics are doing with their accommodation of Jewish converts. Granted, Catholics usually never go as far as Evangelicals do, but the spirit of Judaizing can still be there, and yes, it is wrong. So what is the balanced approach? Here’s the deal. Saint Paul and the Council of Jerusalem absolutely condemned Judaizing. There is no question about that. There are no exceptions to it. It is condemned, and it is heresy to practice. But what exactly is Judaizing? As I defined above. Judaizing is: “to conform to the spirit, character, principles, or practices of Judaism.” By that is meant generally to conform the Church as a whole, and specifically to conform non-Jewish Christians. In other words, if you tell non-Jewish Christians that they should adopt Jewish practices, you are Judaizing. So to summarize, Judaizing simply means making non-Jews act like Jews. What it does not mean, however, is allowing Jews to act like Jews. The Catholic Church, in order to remain Catholic, must always have a universal appeal. It must appeal to non-Jews alongside of Jews. It must be a religion that non-Jews can easily adopt, without having to feel like they’re changing their culture and diet to do so. To simplify, the Catholic Church, in order to remain truly Catholic, must be a Church for all peoples. It cannot allow itself to become solely a Church for only one type of people. Now this doesn’t mean that the Catholic Church, in certain places, can’t take on the cultural flair of the people who live there. For example, Catholic churches in Ireland have a very Irish flair. Catholic churches in Mexico have a distinctively Mexican flair. There are even certain uses and rites that appeal to specific cultures as well, having been born of those cultures. However, in spite of all this, the Catholic Church remains universal. No convert is expected to take up strict dietary laws, or exchange the culture they observe in their home, for another completely foreign to them. For example; as an American of north European descent, I could join a Byzantine Catholic Church if I wanted to, and worship God according to Byzantine Catholic ways. In my private home however, aside from some Byzantine prayers I might use, my life would essentially remain north European in style and character. I could continue to use traditional English prayers and devotions as I like, and have some tea and crackers in the afternoon, which I enjoy from my British heritage. I could continue to eat pork, sausages, schnitzel and bacon cheeseburgers, which is something very important to a Swedish-German American. I would not have to change my manner of dress, or be expected to wear anything distinctive in public or private. I would continue going to Oktoberfest in the fall to celebrate my German heritage, Yulefest in December and Midsommerfest in June to celebrate my Scandinavian heritage. In other words, I am still very much connected to my ancestral culture, and a good Catholic at the same time. See? The Catholic Church is universal. I don’t have to become something I’m not to be a good Catholic Christian. The apostles saw this cultural flexibility as absolutely essential to preaching the gospel and saving as many souls as possible. They did not limit the gospel only to people who were willing to become culturally Jewish. So Judaizing is about making non-Jews act Jewish. But Judaizing has nothing to do with Christian Jews who just want to be themselves by acting Jewish. It means if a Jew converts to Catholic Christianity, he can go on observing certain Jewish cultural norms, provided these in no way interfere with his newly adopted Catholic Christian faith. In other words, the Catholic Church just treats Jewish converts the same way as she treats everyone else. That is the balanced approach. What we have to understand is that there is a culture that surrounds Jewish communities. Yes, the religion of Rabbinical Judaism played a significant role in forming that culture, but just because that religion played that role, doesn’t mean the Church should obliterate the culture. That’s not her way. It never has been. So to summarize, a Jew can convert to Catholicism and become a Hebrew Catholic, maintaining many cultural traditions he/she is accustomed to, so long as it is understood that these cultural traditions in no way contribute to their necessary religious obligations as Catholics, and they in no way make them “superior” Catholics for observing them. They are just cultural traditions. So for example; if a Hebrew Catholic wants to keep kosher, observe Passover and other festivals privately in his own home, and wear a yalmukah and tillis during mass, all of this would be acceptable, so long as he understands that this does not contribute to his religious obligations as a Catholic, nor does it in any way make him a “superior” Catholic for practicing them. It is just a cultural expression. Could non-Hebrews participate in these activities as well? Yes, but a word of caution is in order here. Non-Hebrews might be easily misled, even unintentionally, into believing that these Hebrew traditions somehow contribute to their religious obligation, or in some way make them “superior” Catholics. I say this only from experience, because I’ve watched it happen in Protestant communities. Hebrew Catholics should take extra care to make sure that any Non-Hebrew, who joins in their celebrations, is not doing so for misguided reasons. Priests and bishops should be especially sensitive to this as well, pointing out the teachings of Saint Paul and the Council of Jerusalem. Does that mean that some Catholic parishes might actually take on a Hebrew cultural flair? I suppose they could, but only if said Catholic parish happens to be erected in a heavily populated Jewish areas, with primarily Hebrew members. The same would be the case with any culture. However, it would be wrong to give a Catholic parish a Hebrew cultural flair if it’s not primarily a congregation of Hebrew origin. Take for example places like Tel Aviv, or even some neighborhoods in New York City. We could possibly see Hebrew Catholic parishes develop organically in these places, but its pretty hard to imagine them developing in other areas with little to no Jewish population. That being said, the sacramental nature of said parish would have to remain totally untouched by Jewish cultural norms. Any Catholic would need to be able to receive the sacraments there, comfortably, regardless of his cultural heritage or sensibilities. Likewise, there is no way the sacraments could be connected to Hebrew rituals in any shape of form. The two would have to be totally separate. Just like they are with the cultural rituals of other peoples. By that I mean that while liturgy and music can be adjusted to accommodate Jewish cultural norms, the sacraments themselves must be made available to everyone in a comfortable way. We simply have to understand that what we’re talking about here is nothing new. The early Church was highly accustomed to the mingling of Hebrew and non-Hebrew Christians. They laid out the rules very clearly in their time period. Hebrews can be Hebrews. They’re allowed to express their cultural norms. However, they must freely associate with non-Hebrews as brothers, and are never allowed to impose those cultural norms on non-Hebrews. Nor are they permitted to think their cultural norms somehow makes them “better” than other Catholic Christians. They don’t. 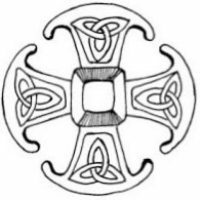 A Hebrew Catholic is no different than an Irish Catholic, or Italian Catholic, or German Catholic, or a Catholic who follows the Anglican Patrimony, or the Byzantine Rite, etc. We are all just Catholics, and none are “better” than the other. Our justification/sanctification is dependent on our union with Jesus Christ, not the particulars of the cultures from whence we came. So long as we follow this rule, I think we will be balanced. I bring this up because I sense that in the years ahead, we may be seeing a larger number of Jewish people convert to the Catholic Church. We need to be prepared for them, and we need to know exactly where everything stands. Again, this is nothing new. They’re very old rules actually. It’s just that we haven’t had need to use them for a long time. I think that is about to change, and with that understanding, we should welcome Hebrew Catholics with open arms. Howard, thank you for posting, and I appreciate your comments as well as your insights. I do think, however, you may misunderstand something about me. I did not “mock” those who claim to have discovered Jewish ancestry. So I highly doubt a 1st-century edition of myself would have mocked St. Joseph. What I said was that Evangelicals in Messianic Jewish congregations feel “pressured” to find Jewish ancestry. Some of them may find it, or think they have, and then feel “pressured” to call themselves Jewish. That’s a legitimate observation of unfortunate behaviour, not a mocking of it. I think it’s wrong for any Christian to feel pressured to find a Jewish bloodline. Now I say this as a man primarily of Germanic/Teutonic (British, Scandinavian & German) heritage, but I too also have Jewish ancestry. I recently took a DNA test, mainly for health reasons, and made the serendipitous discovery that I too am descended from Ashkenazi Jews. I followed with a study of my family tree, which is well documented back to the 16th century, and it reveals a line of Ashkenazi surnames intersecting with the Schaetzel surname back in 1796, with the marriage between my fourth great-grandparents. Nevertheless, while I can say with absolute authority that I have Jewish blood, I can also say that I am not Jewish. I am neither Jewish according to Jewish law (which requires my mother or grandmother to be Jewish), nor am I Jewish by religious or cultural ties. My family has no ties to any synagogue in recent memory, and whatever Jewish customs or practices my fourth great-grandmother might have brought into the family after her conversion, they are all gone now. There is no trace of them, and had I not had that DNA test, I would have never looked for those surnames on the family tree. It all would have remained forgotten — indefinitely. Now, having said all that, I support the mission of the AHC, but I have no desire to go out and start celebrating Jewish holy days. My prayers will likely remain in English and Latin. I know a little Hebrew (for academic reasons) but that’s not how I pray. 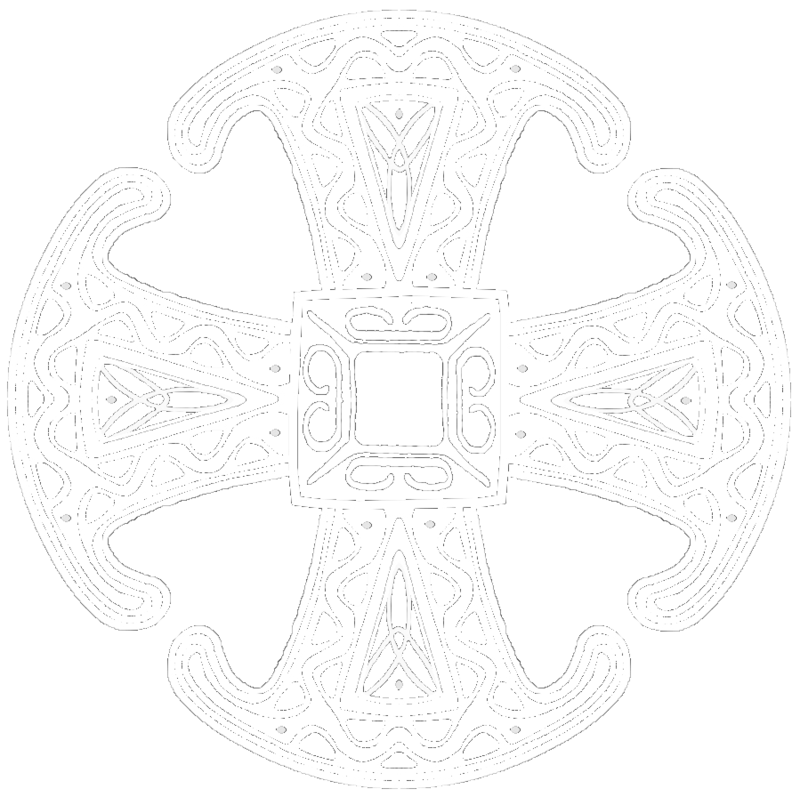 I am thankful for, and proud of, my Jewish heritage, but I am culturally a Germanic Catholic and that is what I shall stay. I feel no pressure to identify as Jewish, and that’s my point in the essay. Christians should never feel pressured to identify with some ethnic or cultural group, especially if they have no real ties to that group outside of some distant bloodline. This is what it means to be Catholic. The word Catholic means whole and universal. It underscores a unity of many different things, rather than a uniformity. Unity, by definition, is the coming together of many different and unique people, who each retain their own cultural and ethnic identities. Uniformity, in contrast, seeks to assimilate everyone into one culture. A good example of a uniform religion in today’s world is Islam. Catholic Christianity doesn’t do that. It allows Hebrews to be Hebrews, Germans to be Germans, Latinos to be Latinos, and Africans to be Africans. There is no need to conform to any particular ethnic group (including the Jewish ethnicity/culture) because the gospel is open to all. This is the difference I was trying to contrast between the Hebrew Catholic Movement in Catholicism and the Messianic Jewish Movement in Evangelicalism. I hope this clarifies matters. God bless. The main objection that Paul had with the Judaizers was their belief that people were made righteous by observing the works of the Mosaic Law instead of faith in Jesus Christ. Probably most of the earliest Jewish Christian continued to be observant Jews. Peter and John went to pray in the temple after Pentecost. When the first Gentile family received the Holy Spirit in spite of not being Jewish, it became obvious that it was not required to be Jewish in order to be Christian. The Gentile Christians were informed of this as a result of the Council of Jerusalem.